When I was researching for my How to Get Rid of Blackheads post yesterday, I stumbled upon this AWESOME tutorial by Michelle Phan (love her!) with an awesome 2-ingredient recipe for DIY pore strips. Now, I know it’s not really recommended to use pore strips as they are only a temporary fix and can harm your skin, but sometimes desperate times call for desperate measures, and I couldn’t resist giving Michelle’s recipe a try. And since I loved how inexpensive these DIY pore strips were to make, and how clean and clear my nose looked after using them, I had to share this with all of you. CLICK HERE to follow Michelle Phan on YouTube – she shares so many awesome tips, you don’t want to miss out! 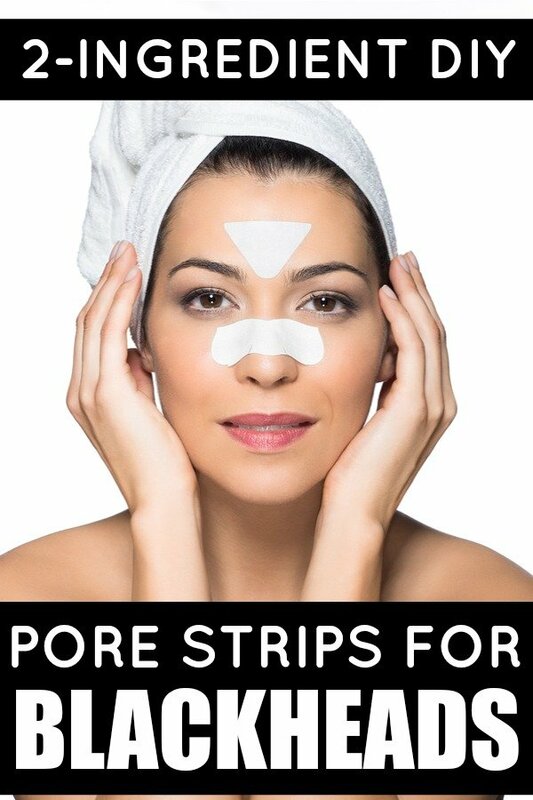 If you liked this 2-ingredient DIY Pore Strips recipe, please share it on Pinterest! And if you’re looking for more tips and tricks to keep you looking your best year-round, please follow our Beauty board where we share all kinds of fabulousness!